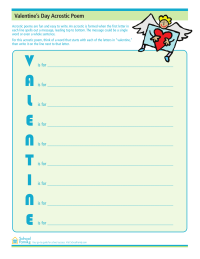 Valentine's Day worksheets, including Valentine coloring pages, word searches, crossword puzzles, writing prompt, activities, math worksheets, and more. 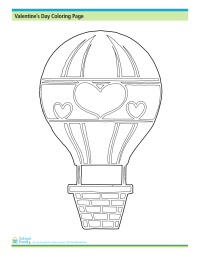 Enjoy this coloring activity, a Valentine-themed hot air ballon. Enjoy this Valentine's Day coloring page activity, showing a boy and girl in puppy love. 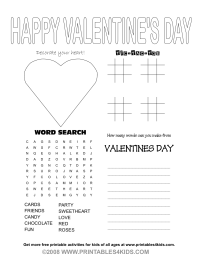 Four Valentine's Day themed games on one page, tic tac toe, coloring, word search, more. Created by Printables4Kids.